WHO DO WE SEE… when YOU LOOK IN THE MIRROR? Entering the WE ARE DATA MIRROR ROOM, you step into a magical area. You experience fun and exciting things. But it’s also a smart area, where visitors are watched and monitored without them knowing. Is it ethical for technology to be so close? To what extent do innovative technologies lead to unwanted transparency? To be able to answer these questions, you’ll have to enter the WE ARE DATA MIRROR ROOM. After all, it’s only by becoming data you will come to understand the importance of personal privacy. We are data. Every movement, every action, every emotion is data. This data is stored and presented as truth. Data are facts and they provide us with tons of information. Informative and useful as that may be, there are downsides, too. Is all that data true? And what happens if it falls into the hands of parties we don’t know? If technology can peer into your brain, the privacy debate suddenly becomes urgent, intrusive and extremely personal. WE ARE DATA examines how far technology might enter into your private domain. WE ARE DATA is aimed at finding out how deep technology can penetrate your private life for you to still feel comfortable. When does it become intimidating and when does it cross a line? In the MIRROR ROOM, you experience what it’s like to become data, and you’re free to choose what personal data you keep to yourself. The MIRROR ROOM is an enclosed space where one visitor at a time will undergo a personal and impressive experience. Poetic and confrontational. In the space we, on the basis of a personal scenario, will literally hold up a mirror to the visitor. 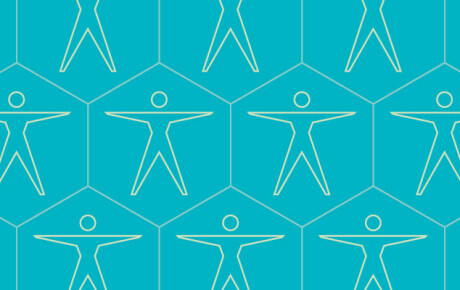 WE ARE DATA contributes to a deeper awareness of what personal information can be recorded and what this means for each and every one of us. If you really experience and feel this real, you can better understand the new technologies to which we are exposed. The installation helps visitors to build up ‘data-intuition’. 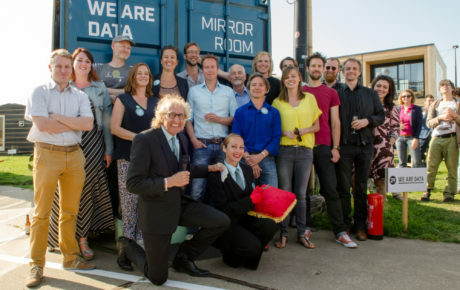 On 13 May 2016 the WE ARA DATA MIRROR ROOM will be launched at the FabCity campus in Amsterdam. 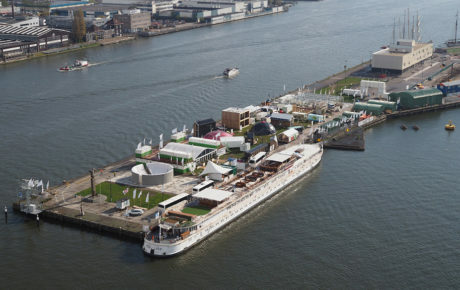 The installation will travel a number of festivals, public spaces, and conferences in the Netherlands and neighbouring countries until the fall of 2017. THE MIRROR ROOM AT YOUR EVENT? WE ARE DATA wants to create awareness where it can. The larger the audience the better! We hope you’re excited about our project and will gladly inform you about the possibilities to treat your visitors to the MIRROR ROOM experience at your event. Contact The MIRROR ROOM on your event? Team WHO IS Working on the installation? Partners WITH WHOM ARE WE COLLABORATING? Funding & support Who are supporting us? The realisation of this project was only possible thanks to the hard work of all involved. They have invested a lot of unpaid time and/or provided knowledge and technology. The initiators are all partners very grateful.